February is the month of Love and full of seeking to perfectly express your love in beautiful and fabulous ways. Because they want to ensure they're the apple of the eye of their special someone come the romantic occasion of the year that they will celebrate together. So if you find yourself being whisked away to a charming place or have planned on a candle-lit dinner date with your beloved, you’ve got every reason to get all glammed up on Hearts Day! Why not? T’is a celebration of love after all. Make a big impact by putting together a look that brings out the best in you. From your clothes and make-up to the tiny details that count, you have many options to get that stunning aura on V-Day. Better start with the hair, which usually draws attention to a person. Per studies, a head full of hair indicates youth and health at its best. Power and stability, on the other hand, corresponds to a long, shiny tress. A bouncy bob means bubbly personality. Meanwhile, curly locks add to masculinity and femininity. Gotta hair like them? Well, don’t lose hope if you ain’t have any. All you need is love. And what a better way if it comes out naturally in you. Taking good care of it should not be enforced, but rather a rewarding pamper for yourself. This applies, too, when choosing the right product for your mane. Stay away from chemical-based ones. This is a “must”, especially when dealing with problems like shedding or thinning of the hair. Most of which contain parabens as preservative, according to aesthetics and rejuvenation expert Dr. Cecilia Catapang. “Through the years, as you use chemical-based product, slowly and little by little, your body absorbs the parabens, which accumulate to significant levels, enough to induce what is called an estrogen sensitive breast cancer,” she says. Synthetic haircare products have several adverse effects because they are drugs. What you don't know about them might hurt you. So avoid it the next time you go over the counter for your supplies or ditch what you’re using today for naturally-made products because they aid in stimulating hair growth while maintaining its natural water, shine and vibrancy. NOVUHAIR helps rejuvenate, nourish and maintain moisture in the scalp and improve the overall appearance of the tress. Lastly, it’s more effective and safe solution to help remedy hair loss and promote hair growth. Sounds like it’s time to shift to “nature’s answer to hair loss”, ladies and gentlemen. 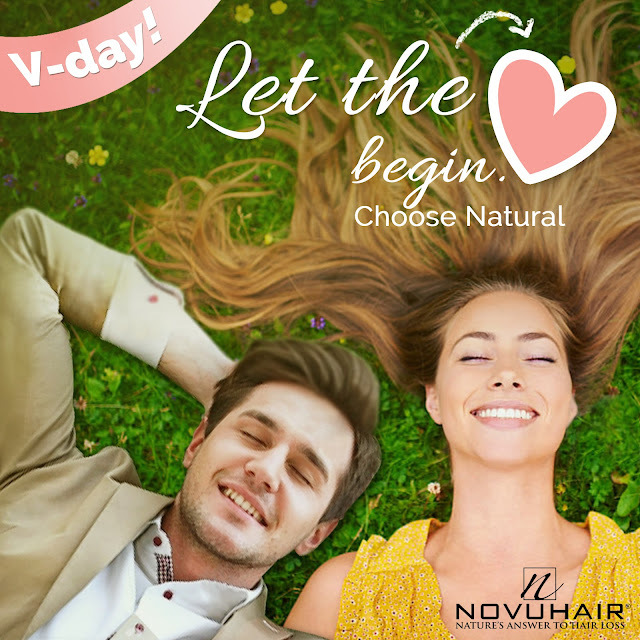 It’s time to start loving again your hair with NOVUHAIR to enhance or bring back the old “crowning glory” to look your best in front of your dearest, or turning the head of a potential mate on you this V-Day. Let the love begin! KEDS RELEASES WHITE SNEAKERS FOR DOG LOVERS!